In comments given to about 300 swaps traders, analysts and more at the SEFCON event in New York City this week, Giancarlo for the first time referred to himself in public as “acting chairman” and laid out his “agenda” going forward for the regulation of blockchain and distributed ledger tech. 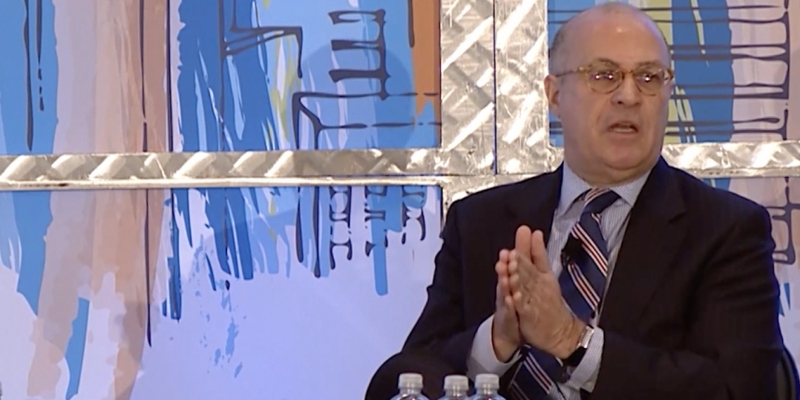 Reading from a prepared speech, the current CFTC commissioner yesterday reiterated his five-point plan for regulators to promote the technology, adding that if implemented successfully, he believes DLT could make regulatory compliance easier – even if Trump has plans to remove the control altogether. To accomplish this, Giancarlo expanded on his plans as first outlined in May for regulators to “promote” DLT and other financial technology. Specifically, he said regulators need to designate “savvy” teams to work with FinTech companies, create safe environments for innovators to experiment, “participate directly” to help build proofs-of-concept and collaborate with both local innovators and international regulators to minimize overlap. And Giancarlo’s America-centric slogan doesn’t appear to come at the expense of cooperation. In fact, as he argued, the CFTC needs to collaborate with other US financial regulators to “emulate” work being done in the UK, Australia, Singapore and Japan “to avoid stifling innovation and DLT’s potential benefits”. The DLT plan was part of five “elements” Giancarlo said would help make market reform work for America. These included providing customer choice in trade execution, fixing swaps data reporting, making the regulatory culture more progressive and encouraging FinTech innovation (the category that included his DLT plans). Not only did Giancarlo indicate that distributed ledger technology could make Dodd-Frank compliance easier if successfully implemented, but he said it might actually strengthen the job market. The reaction among audience members to Giancarlo’s speech was largely positive, though skepticism remains regarding whether the cost of implementing DLT might be worth the potential benefits. For instance, Kevin McPartland, head of research at Greenwich Associates, said he doesn’t expect much change to happen for the first year that Giancarlo is in charge of the CFTC, assuming Trump formalizes the appointment. Instead, McPartland thinks there will initially be even less change to regulatory considerations, as planned modifications are tabled and the new chairman works to replace a depleted array of commissioners. However, once the new team has its footing, McPartland believes Giancarlo would likely align his blockchain controls with Trump’s policies. Micah Green, partner at Steptoe & Johnson LLP and co-chair of the law firm’s government affairs and public policy group, largely echoed McPartland’s stance that Giancarlo would likely give the industry a light touch on regulation. According to Green, Giancarlo will likely increase the interaction between regulators, technologists and market professionals to help ensure what is being built is compliant from the day it goes live, but without hindering its possible applications in diverse sectors. Optimism aside, the future might not be smooth sailing. As the Financial Times reported yesterday, Giancarlo’s embrace of the Dodd-Frank act – and the potential benefits blockchain could have on making compliance easier – puts him in direct opposition to Trump. During Trump’s presidential campaign he promised to “dismantle” the Dodd-Frank Act, the regulatory overhaul put in place after the financial collapse of 2008 as part of a bid to help increase industry oversight. It would appear that Trump might have no interest at all in Giancarlo’s belief that blockchain could simplify compliance. Larry Tabb, industry analyst and founder of Tabb Group, told CoinDesk that even if a blockchain solution was feasible – and useful – it might not save enough money to be worth implementing. Regardless of what the future might eventually bring, however, Giancarlo reiterated his goal for the speech was to make explicit his plans going forward.